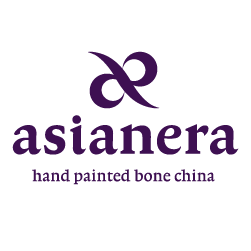 Asianera began in 1995 as a small studio workshop specializing in hand-painted porcelain with big dreams. The founders, Grace Liu and Jian Ping (JP) Li, wanted to prove that world-class, design-oriented fine china could still be produced from the country that originally defined porcelain beauty. From the start, Grace and JP have only focused on developing and producing high quality fine bone china products. As a result, developing the nascent product line was slow and difficult. But by targeting the high-end high-quality market, Asianera was able to leap-frog over their competitors from the beginning. Their fresh and unique designs also clearly distinguished their product style from others. It was a tough challenge, but they’ve never had to look back. Asianera is now a full production operation but we remain a medium-scale boutique factory focused on design development and production of high quality functional table art.